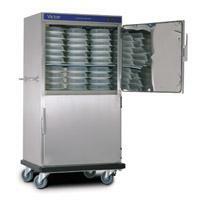 This unit combines large capacity with the ability to transport food from the kitchen to the dining area. This unit comes with heavy duty castors as standard with two braked and wrap around bumper. This unit is larger than the BL100 and can accommodate six 11"plates per level.